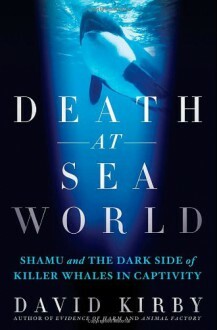 From the New York Times bestselling author of Evidence of Harm and Animal Factory—a groundbreaking scientific thriller that exposes the dark side of SeaWorld, America’s most beloved marine mammal park Death at SeaWorld centers on the battle with the multimillion-dollar marine park industry over the controversial and even lethal ramifications of keeping killer whales in captivity. Following the story of marine biologist and animal advocate at the Humane Society of the US, Naomi Rose, Kirby tells the gripping story of the two-decade fight against PR-savvy SeaWorld, which came to a head with the tragic death of trainer Dawn Brancheau in 2010. Kirby puts that horrific animal-on-human attack in context. Brancheau’s death was the most publicized among several brutal attacks that have occurred at Sea World and other marine mammal theme parks. Death at SeaWorld introduces real people taking part in this debate, from former trainers turned animal rights activists to the men and women that champion SeaWorld and the captivity of whales. In section two the orcas act out. And as the story progresses and orca attacks on trainers become increasingly violent, the warnings of Naomi Rose and other scientists fall on deaf ears, only to be realized with the death of Dawn Brancheau. Finally he covers the media backlash, the eyewitnesses who come forward to challenge SeaWorld’s glossy image, and the groundbreaking OSHA case thatchallenges the very idea of keeping killer whales in captivity and may spell the end of having trainers in the water with the ocean’s top predators.